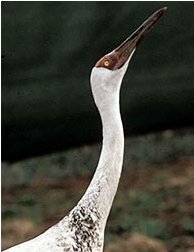 Justification: This long-lived crane qualifies as Critically Endangered owing to fears that its global population will decline extremely rapidly over the next three generations following the development of the Three Gorges Dam in China which threatens the wintering grounds used by the vast majority of individuals. If the impacts of this development prove to be less damaging than is feared, the species may warrant downlisting. ©IUCN 2008. 2008 IUCN Red List of Threatened Species. <www.iucnredlist.org>. 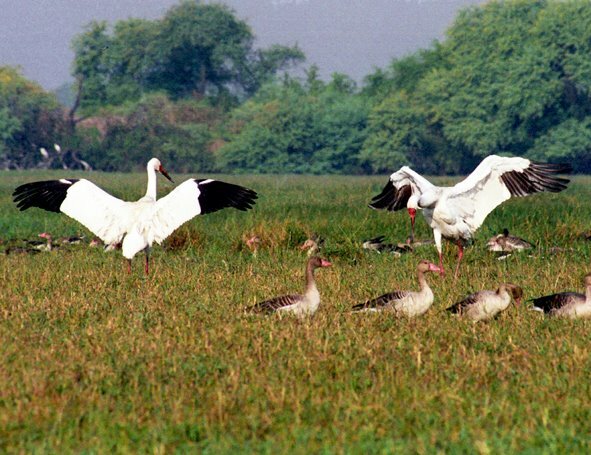 Downloaded on 11th April 2008.
is a bird of the family Gruidae, the cranes. in northern Iran in October, one disappears later. This species breeds in arctic Russia in Yakutia and western Siberia. It is a long distance migrant. and the western population in Fereidoonkenar and Esfahan in Iran. It breeds and winters in wetlands, where it feeds on the shoots, roots and tubers of aquatic plants. 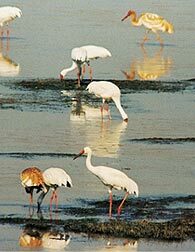 This is a large white crane. Large males can exceed 140 cm (55 inches) in length and weigh over 10 kg (22 lbs). Adults are all white, except for a dark red mask extending from the bill to behind the eye. It has a yellow iris and reddish legs. The male is slightly larger than the female. Juveniles have a feathered mask and buff or cinnamon plumage. The voice is flute-like and musical. 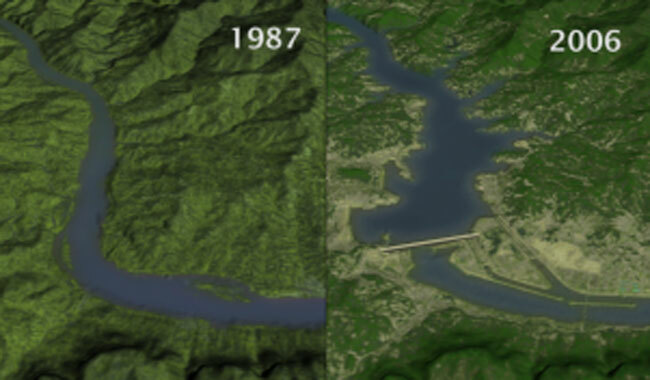 changes caused by the Three Gorges Dam. The population is estimated to be around 2000 in China. Historic records from India suggest that a number of them wintered there in the past. steadily declined and the birds are no longer found there. At left is a 1987 birds eye view of the Three Gorges Dam region as seen with Landsat-5 satellite. At right is a 2006 birds eye view of the Three Gorges Dam region as progress on the dam is well underway.